In This Unseen Video, Anushka Sharma Is In Heaven And It's All Thanks To Hubby Virat Kohli! The past months have been crazy when it came to grand weddings in Bollywood. 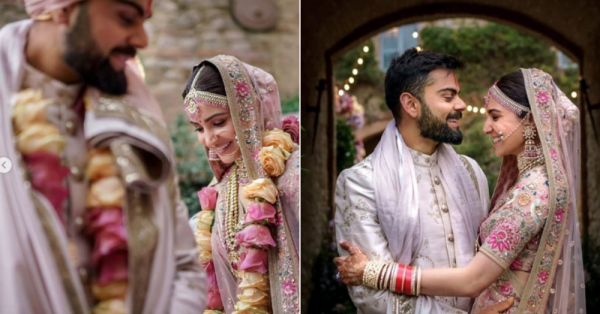 Deepika and Ranveer made us fall in love with them after their wedding pictures came out, Priyanka Chopra and Nick Jonas set different standards for Indian weddings but let's take a moment to revisit one of the most beautiful OG tinsel town weddings- that of Anushka Sharma and Virat Kohli. The power couple completed one successful year of togetherness and is celebrating their first anniversary today. The two got married in a Tuscany, Italy in a private ceremony with only their close friends and family. Both of them took to their Instagram handles to share gorgeous moments from their wedding ceremony that has left us gasping for air. Today, as a throwback, Virat shared a series of pictures that will make you look for a box of tissues. They truly look amazing together. Their beaming smiles complemented their blushes as they looked at each other and their affection for each other shows us what true love looks like. He captioned his post as "Can't believe it's been a year already because it feels like it happened just yesterday. Time has truly flown by. Happy anniversary to my best friend and my soulmate.Mine forever ❤ @anushkasharma"
Just when you think this can't get any better, his wonderful wife Anushka shared an adorable video from their nuptials. 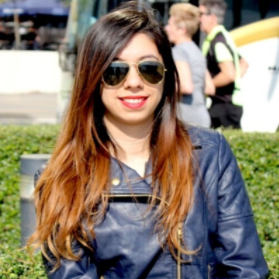 In the video, Virat repeatedly refers to her as his "wife" and you can see the immense joy on his face to have gotten hitched to the woman of his dreams. Her post reads, "It's heaven, when you don't sense time passing by ... It's heaven, when you marry a good 'man' ... 💞"